What is Plastic Optical Fiber? Plastic Optical Fiber, (POF), typically uses PMMA (acrylic), a general-purpose resin as the core material, and fluorinated polymers for the cladding material. In large-diameter fibers, 96 percent of the cross-section is the core that facilitates the transmission of light. The material used for POF is typically PMMA. 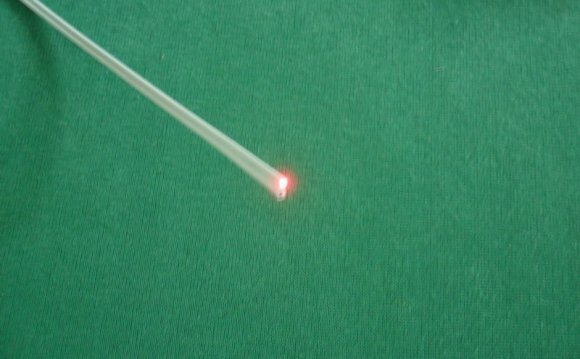 However, there are also many other types of optical fiber. The individual characteristics of these fibers are applied to a variety of fields. Multi-step structure fiber uses both of the principles above for transmission. As its name indicates, the structure uses multiple-step indices. Although the basic principle is the same as that of SI-POF, because the index of refraction changes in multiple steps, the focus of the light is shifted toward the center at the same time. This structure was recognized as a simple solution to increasing bandwidth, and in 1999, Mitsubishi Rayon developed and successfully tested Eska™ Miu, the first multi-step index fiber. This fiber is still under final development. Consumer demand for POF dictates that this fiber remain at reasonable prices. The multi-step index structure can be mass produced much easier than GI-POF. Also, since it can easily be applied to varying bandwidths by changing the number of steps, it has the added benefit of simple conversion to larger capacities in the future. Mitsubishi Rayon will recommend Eska™ Miu, rather than the higher transmission capacity GI structure Eska™ GIGA, as the backbone for home networks, not only because Eska™ Miu satisfies bandwidth requirements, but also because the economy and superior productivity of the multi-step structure are primary concerns for home networks. Suited for long-distance transmissions.